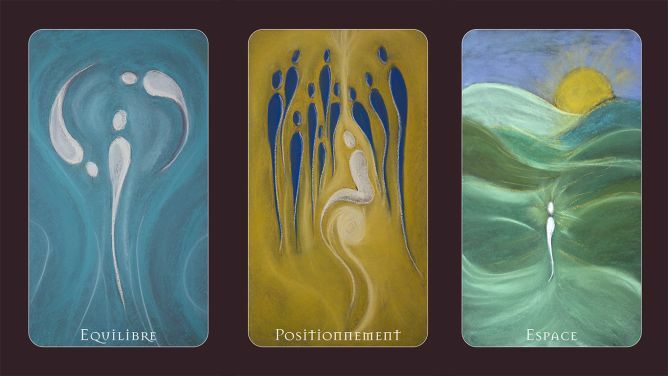 Personal developpment oracle deck aiming to support you in time of transition and helping you to grow your inner coach. Your pre-order will allow the production of its 1st edition. 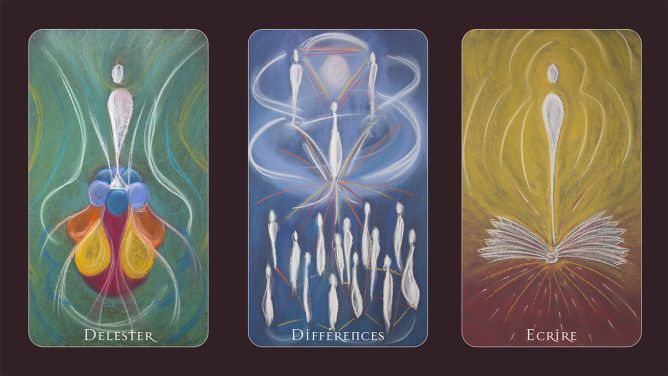 Drao is an oracle of 52 cards, and its booklet of inspirational texts and questions, seeking to stimulating your intuition, your abilities and talents especially in time of changes or doubts. 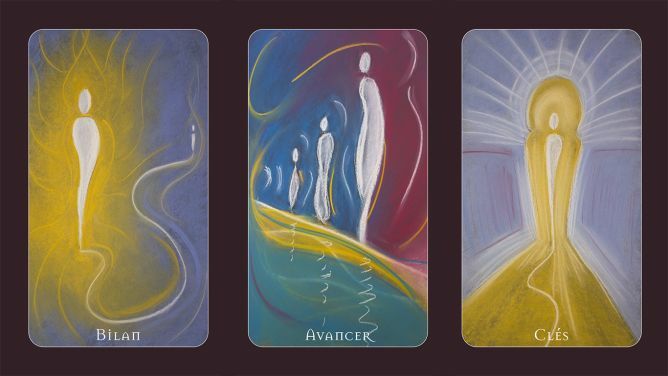 Your answeres are in you, this deck helps you to reaveal them and to reveal yourself. 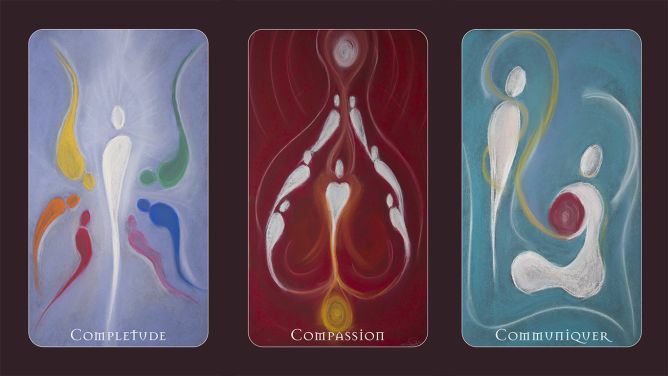 Being it to reconcile you with yourself, (re)discover your qualities, realizing the journey you already made, defining your needs more clearly or simply developping your intuition, you have found, with Drao, the partner that is looking forward to be by your side on your journey to You. Today, after over 21 months of creation, the printing files are almost ready. The inspirational texts are being reviewed and translated. A test run of the mockup will be done soon to verify the latest adjustments. The printing will be done by a specialized Swiss company, using the regional competencies allowing me to be in close contact with passionate artisans and benefitting from their precious knowledge and it is gold value! It even add a nice vibration to the deck. Minimizing the carbon trace also motivated my choice as producing close to my home reduces the footprint of this tool to its production and delivery to its future users. In addition to the satisfaction of participating to the creation of the first edition of the deck, you may enjoy advantages that your will not find elsewhere. The price includes the shipment to any destination with a postal service. 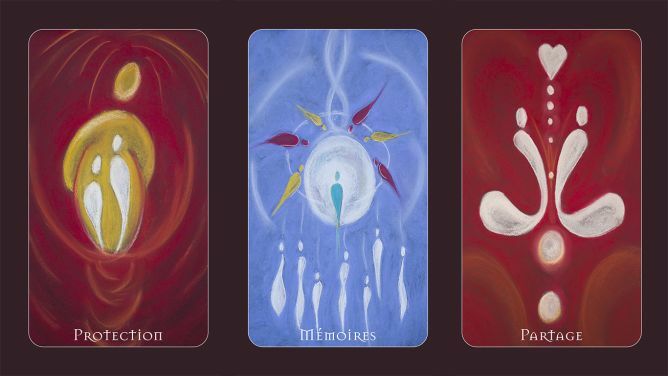 The oracles shipped will be numbered and signed and you also have the possibility to get goodies such as bookmark or personal diary at the images of cards of the deck. There is even the possibility to get a personal consultation with me in Geneva or through Skype/Facetime in English or French. I’m looking forward to being able to send you your deck or goodies and thank you in advance for participating to this adventure. This project ended successfully on 26/5/2017 11:11! You want to support the project but cards are not your thing? 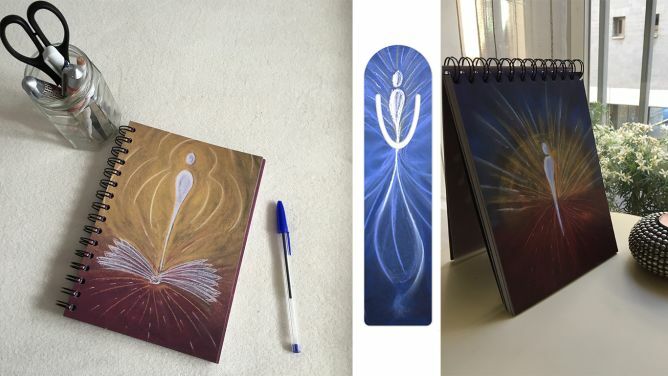 Take a notebook A5 with the "Writing" illustration as cover! 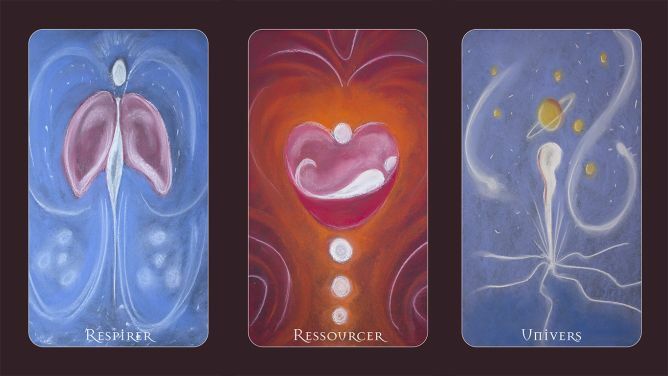 Get your numbered and signed Drao Oracle deck and an token of appreciation for your support. In addition to your 1st edition numbered and signed Drao Oracle, get a notebook A5 with the "writing" illustration in cover. An opportunity to write down your feelings, reflexion, wishes and needs when doing some reading. A precious tool for self-development shipped with a little surprise to thank you. An occasion to offer a deck to a friend! Get your numbered and signed Drao Oracle and its twin for you or to offer to a friend. You may even have your second deck shipped directly to your friend with a note from you! Both decks comes with a little token of my gratitude. 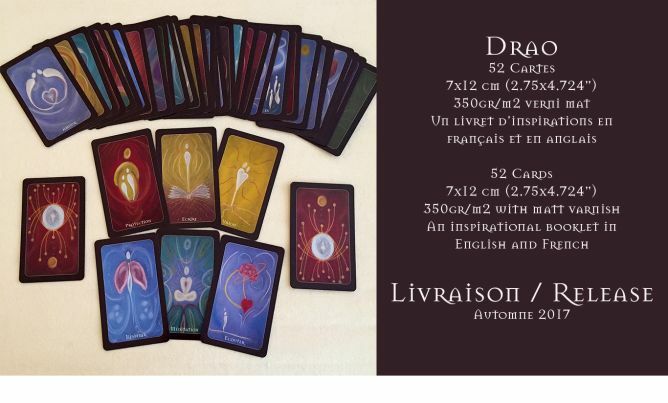 With the combo you get your numbered and signed Drao deck, a notebook A5 and a bookmark to stay tuned with your readings. A nice package shipped with a surprise to thank your for your support. 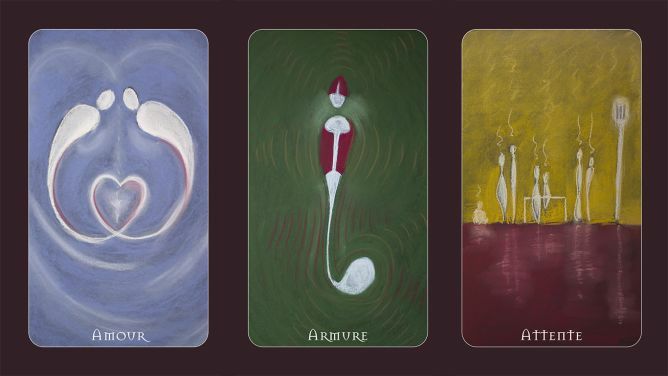 Get the 52 illustrations of the deck in a A5 booklet in addition to your Drao Oracle, both will be numbered and signed. Being it for the pleasure to look at the images or to use them for meditating, this is an offer that you will only find here to thank you for your generosity. How do you take care of you? With a 60 minutes session, lets find some solutions to integrate your well being in your daily life according to your rhythm and your interests. It's also an occasion for me to thank you in person at my practice in Geneva or via Skype or FaceTime. 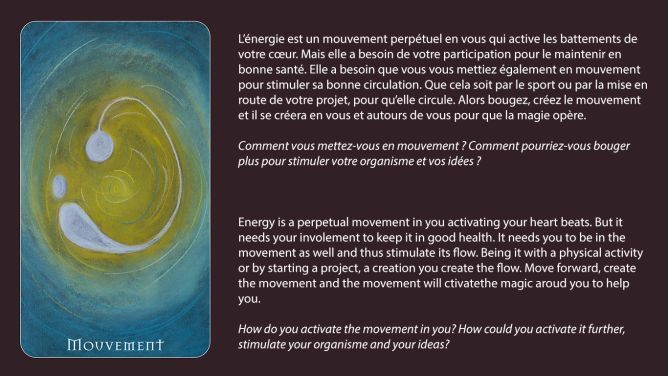 Develop your inner coach with your Drao deck and a session of 60 minutes where we will discover your answers, as they are within you. It will be my pleasure to be able to thank you in person at my practice in Geneva or via Skype or FaceTime. Seeking for an original way to thank your clients? This is for you! 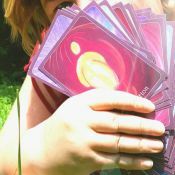 10 Oracles deck at a special price (20.- shipment included) with 10 token of my gratitude for your involvement in this project. Enjoy a creative day with a friend! I invite you and the friend of your choice to an expression day where, whatever your drawing level, you can have fun with colors and papers. I'll show you how meditation can be an inspiration source and some drawing tips if wanted. The fun day will take place in Geneva, Sunday 17 or 24th of September from 9h30 à 16h00. To thank you for your participation to the project, I'll provide you with the drawing material for the day and a nice meal all together. Wow! I want to illustrate your soul! You will get an intuitive illustration with pastel chalk 42x29.7cm framed. The drawing with be inspired by your heart and soul with my graphic style and will be displayed with a thank you note on my website. If you already felt in love with one of my creation it is also possible to get it in stead. Thank you so much! Wooooooooow!!! Thank you sooooo much! As sponsor, you will get your name in the thanking section of the Oracle Booklet! You will also get your numbered and signed Drao Oracle as well as all goodies (illustration book, notebook, bookmark) and... an intuitive illustration inspired by you (50x65cm) or 3 original illustrations from my catalog. With my deepest and warmest gratitude. 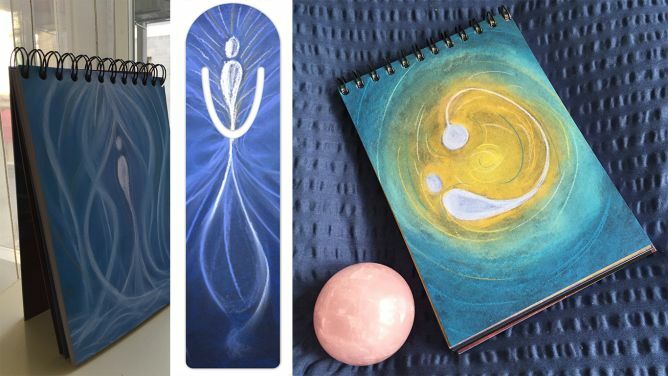 Energetician therapist, NLP practitioner and artiste, I love combining art with personal development techniques with my clients. 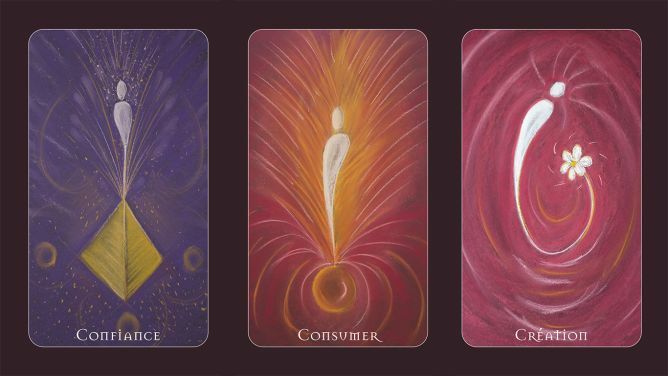 It gave me the inspiration to create an oracle deck that could be used as a tool for therapist or individuals to support a phase of personal growth. It aims to empower its users and help them to find their inner coach.